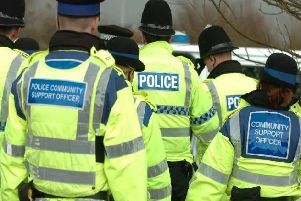 A 21-year-old Clitheroe man kicked in a car windscreen in a “random” attack because his mum wanted him to go home early. Blackburn magistrates heard the totally innocent victim was left without her car and having to make an insurance claim. Nicholas Mark Wright, of Kiln Close, Clitheroe, pleaded guilty to damaging a car windscreen belonging to Katie Cowburn. He was made subject to community supervision for six months with an alcohol treatment requirement, fined £40 and ordered to pay £420 compensation and £100 costs. Mrs Colleen Dickinson-Jones (defending) said her client’s mother had come to court to support him. “Drugs have been part of his life since a young age, but hopefully with the help he is getting and is going to get he can put this behind him,” said Mrs Dickinson-Jones.